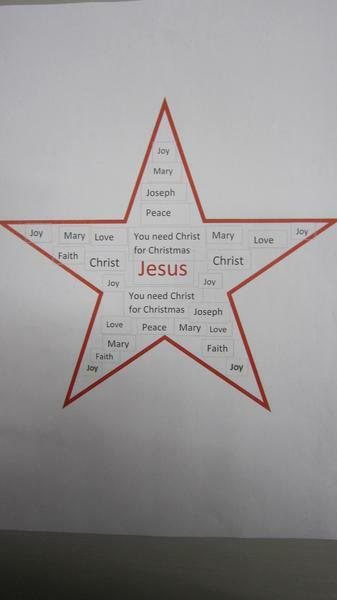 All classes enjoyed learning about the true meaning of Christmas, during our Christmas Theme Day. 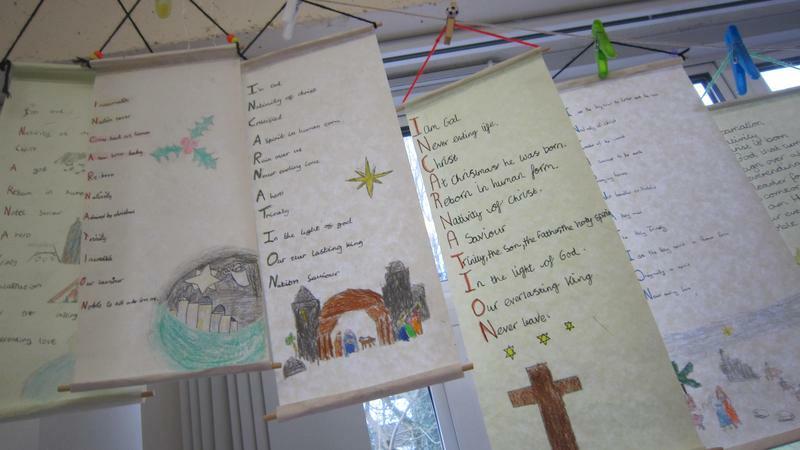 As part of the day, each class reflected on the deeper meaning of Christmas as well as interpreting these ideas through art, drama, dance and writing. 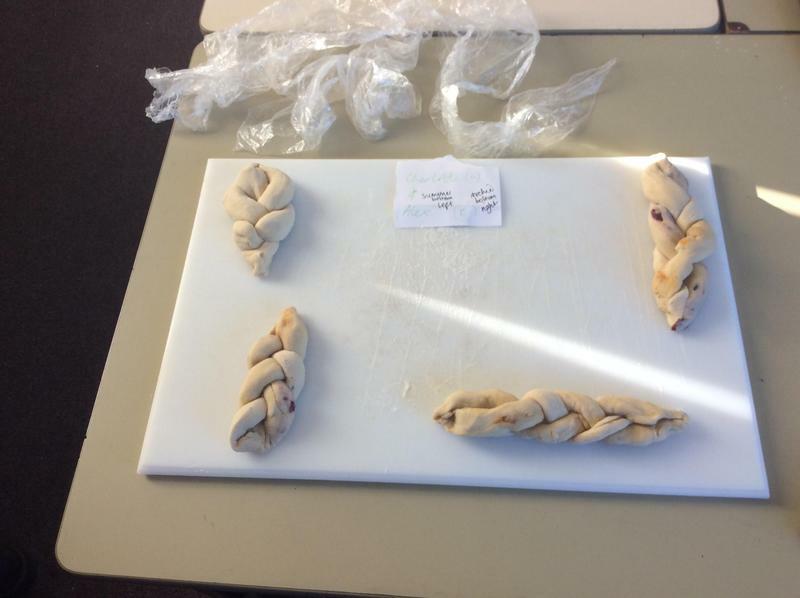 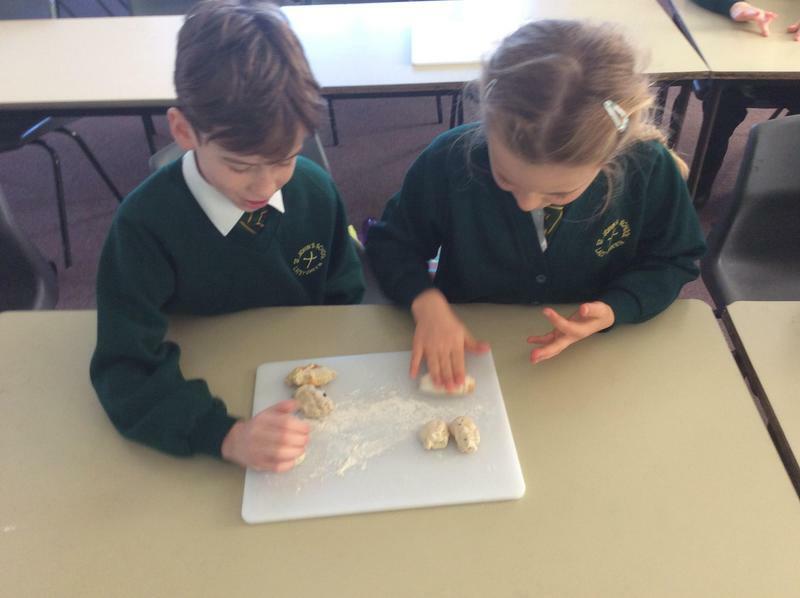 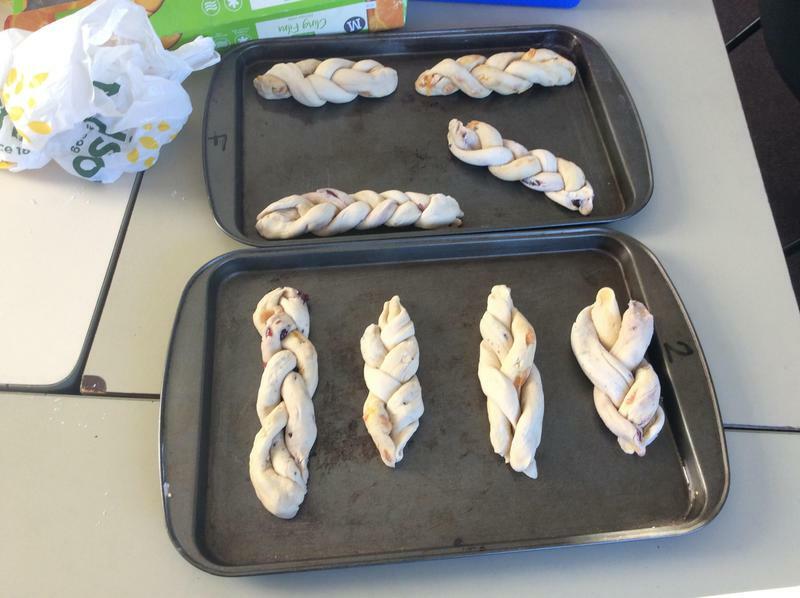 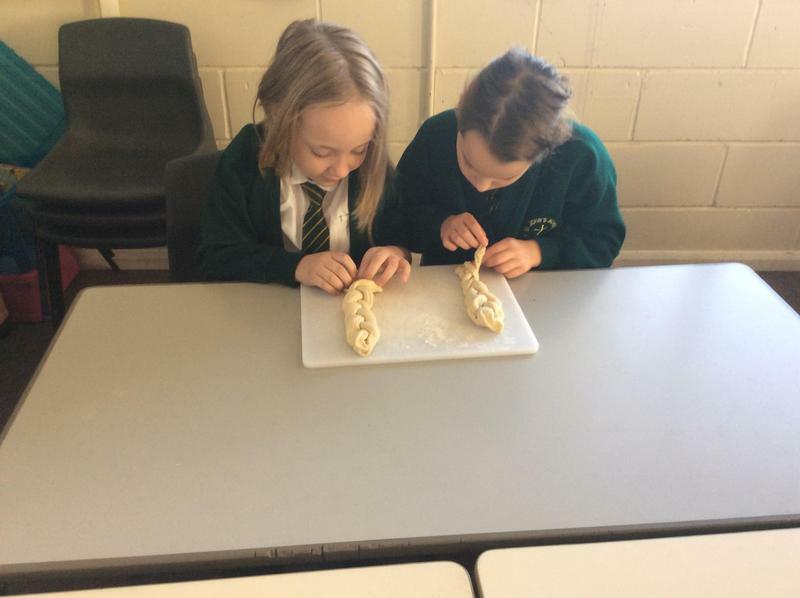 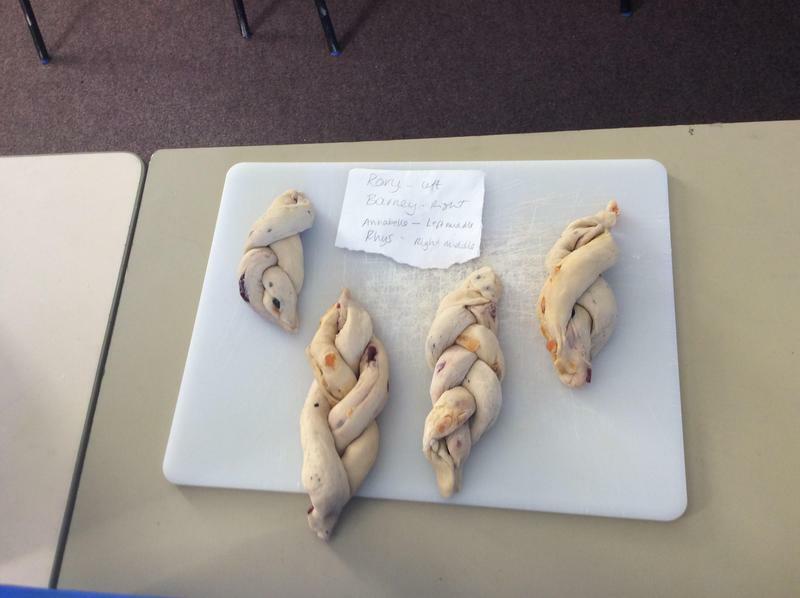 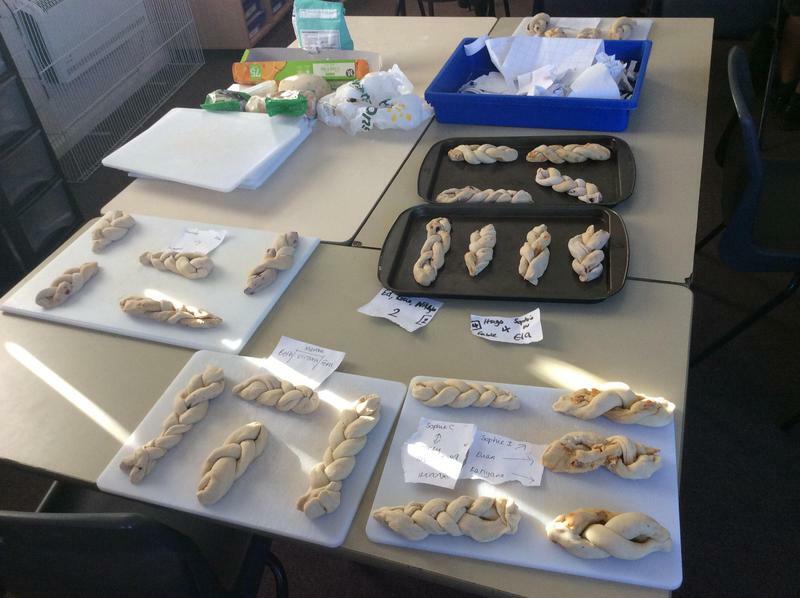 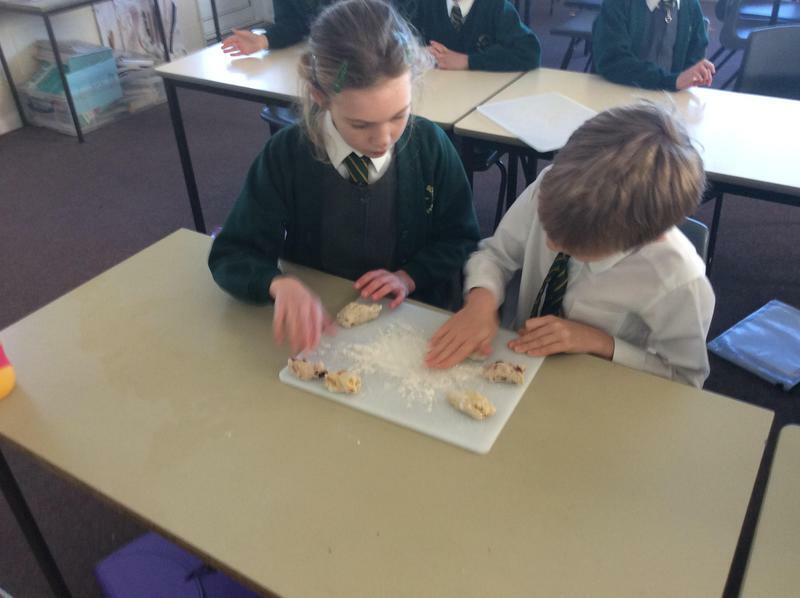 The year 3 and 4 classes learned more about the Holy Trinity and plaited loaves using different flavoured dough. 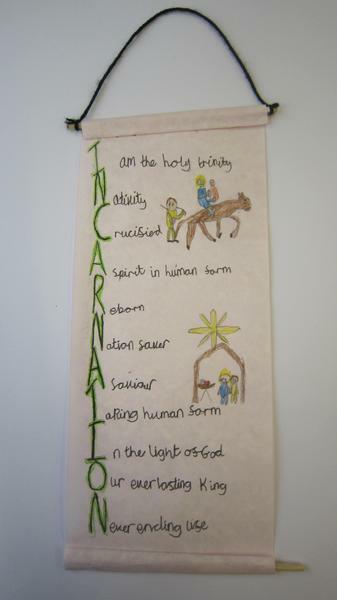 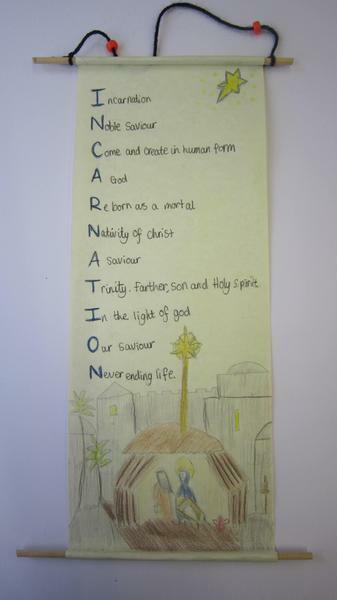 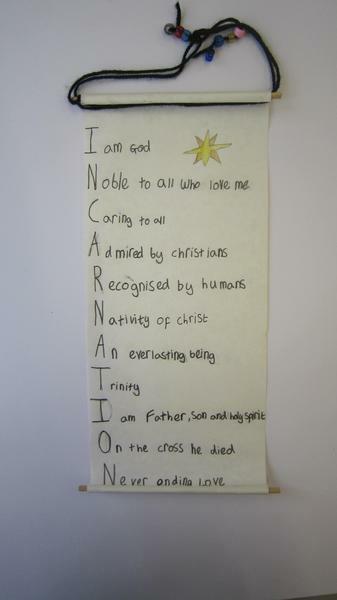 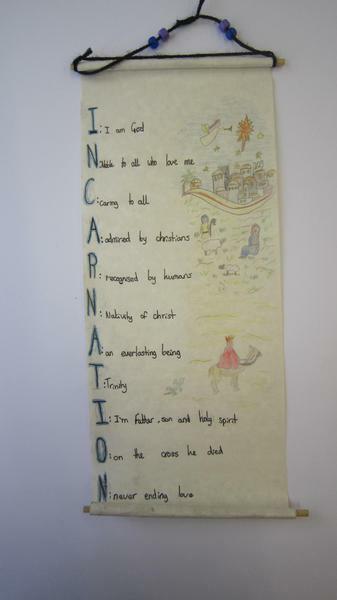 Our year 5 and 6 children looked into the meaning of Incarnation and its importance at Christmas. 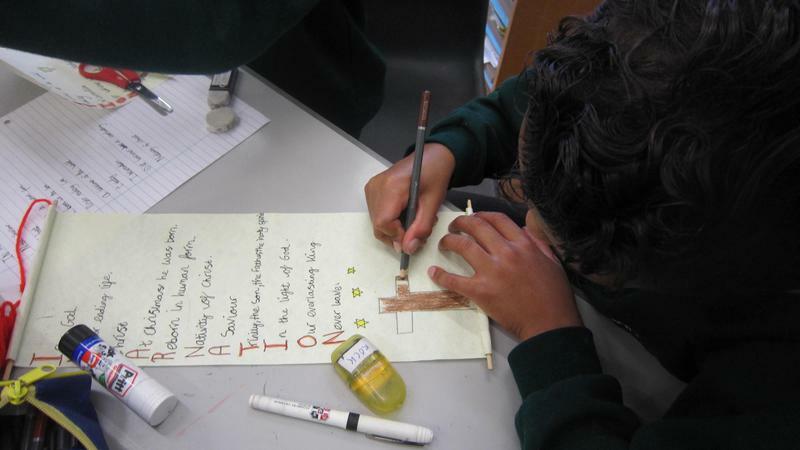 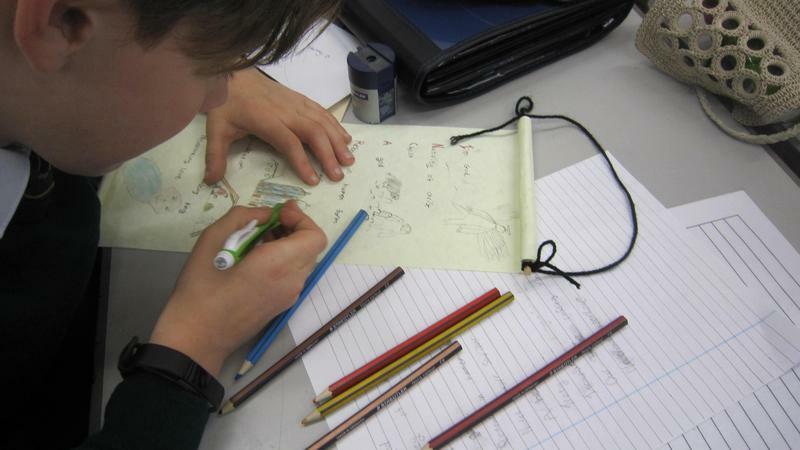 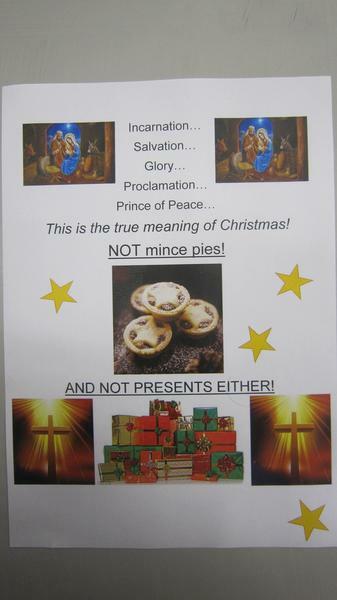 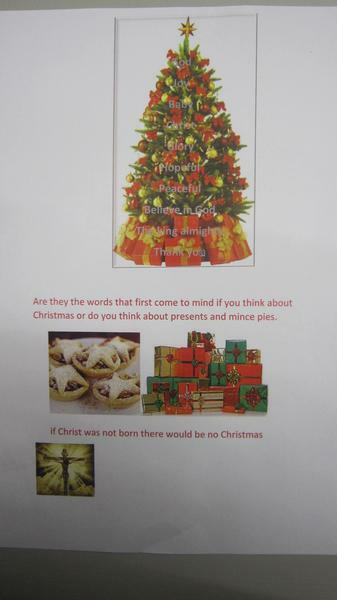 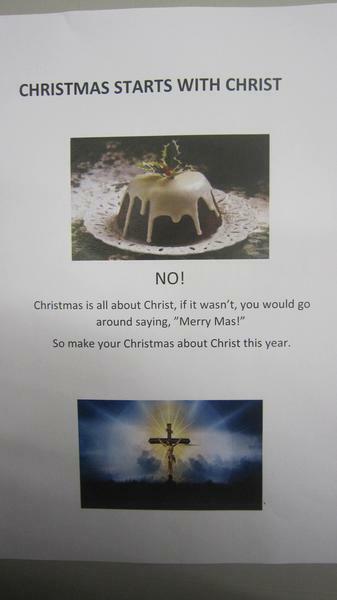 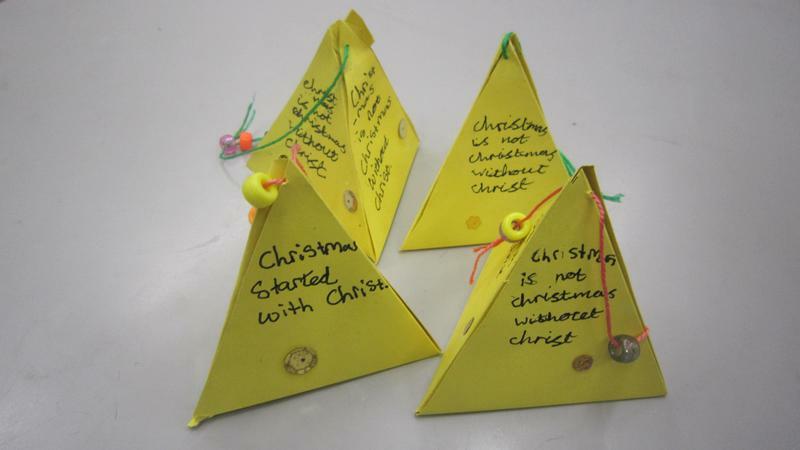 They also worked on ways to advertise the true meaning of Christmas, producing posters, presentations and cards. 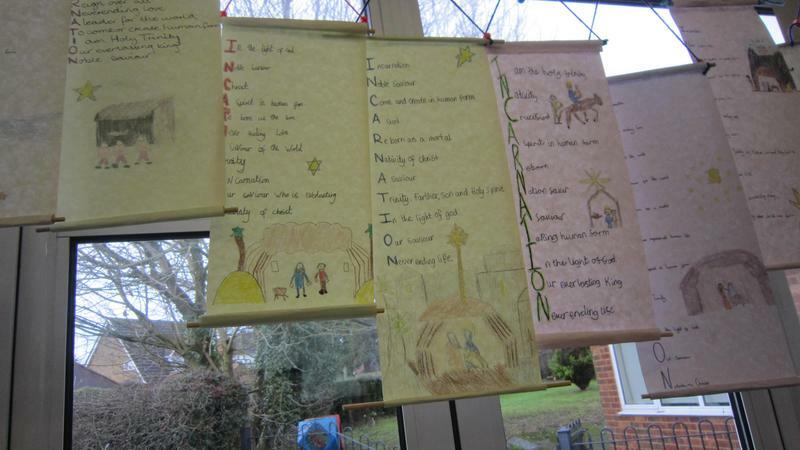 Below you can see some of the children's work.